At this point, you've probably seen the trailer for Disney / Pixar's Toy Story 4, and you're thinking that June 21st can't get here fast enough. 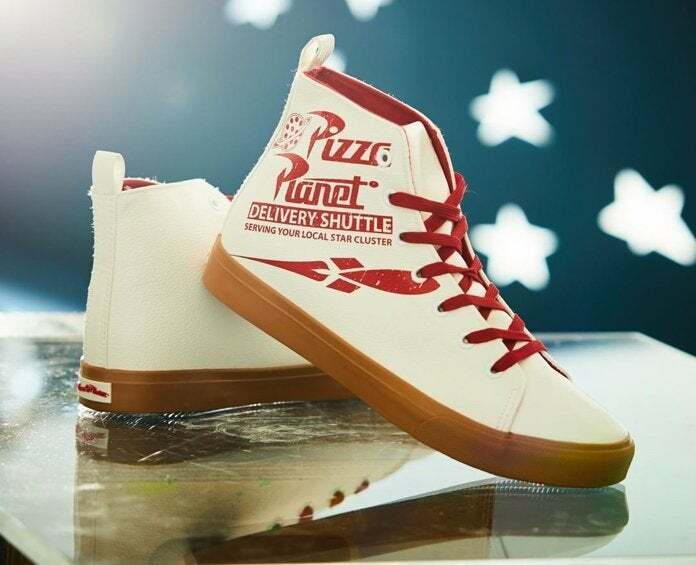 On the plus side, there's still time to get a pair of these Pizza Planet sneakers to wear to the premiere. In fact, they're available at Hot Topic right now in men's sizes 7 to 13 for only $23.94, which is a whopping 40% off the list price. This is an online-only sale, and it probably won't last long, so grab a pair with the discount while you can. Keep in mind that shipping is free on orders of $50 or more, so you might want to check out Hot Topic's entire shoe collection for more options. There are loads of fun styles with similar discounts right now, and at this price picking up a few pairs is worth considering. On a related note, Disney recently launched the Pixar Forever Disney collection, and it includes some fun fashions, housewares, and accessories from classic animated movies like Monsters, Inc., Toy Story, and Ratatouille. You can shop all of the Forever Disney items right here, but you need to check out the Toy Story gear first. 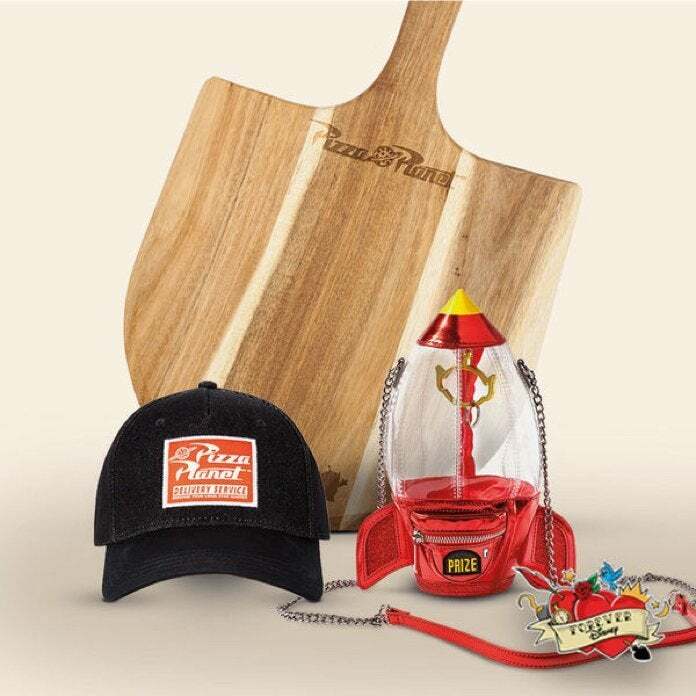 Our favorite items from the collection include employee-style shirts and hats for Pizza Planet and Al's Toy Barn, as well as this wooden Pizza Planet serving paddle. However, the Pizza Planet claw machine crossbody bag is the star of the show.